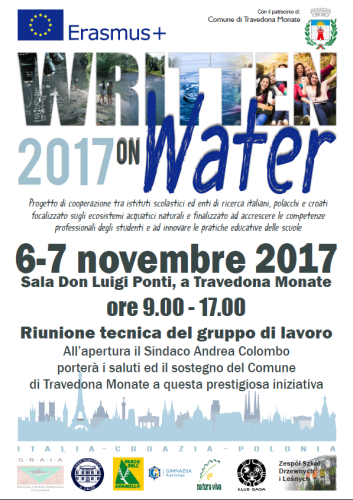 Graia during the three year period 2017 -2020 will be partner and leader of an important european project Written on Water 2017 “WoW”. The Project, launched in September, falls within the area of the Erasmus plus project and represents an important tool and an opportunity to increase the education of the young students. 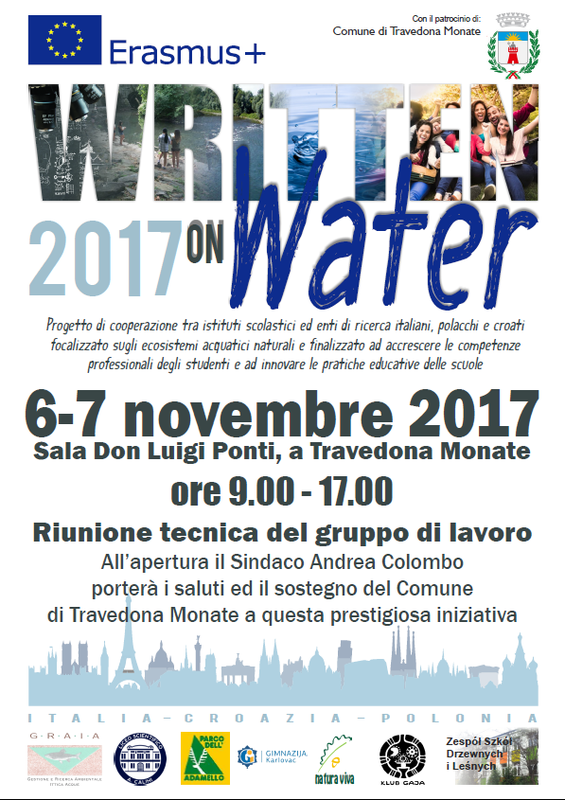 WoW is a cooperation project between Italians, Polish and Croatian schools and research institutes focused on the natural aquatic ecosystems and aimed to improve the students professional skills and to innovate the educational practice in the schools. Erasmus Plus is the European union program for the Education, the Training, the Youth and the Sport 2014-2020. The Program fits in a socio-economic contest that shows almost 6 millions of young European unemployed, with levels in some countries exceeding the 50%. Meanwhile there are more than 2 millions of vacant positions and one third of the employers report difficulties to hire personnel with the required qualifications. This shows the exist of important skills deficit in Europe. Erasmus+ has been thought to give strong answers to this issues, with studying and training opportunities, work experiences or volunteering abroad. The quality and the pertinence of the organizations and of the educational European systems, training and assistance to the young will be increased with the support to the improvement of the teaching and learning methods, to new programs and to the professional develop of the teaching staff and of the youth entertainers, and with a major cooperation between the education and work world in order to face the real needs in terms of social and human capital development, in Europe and elsewhere.